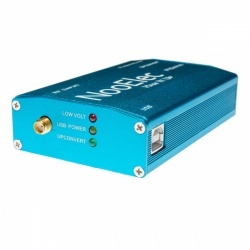 The pack Passion Radio SDR Deluxe allows you to receive on your computer, all radio frequencies from 0.5 to 1766 MHz (without gap) and in all modes: AM, FM, SSB, CW and digital, through the use of a SDR software for Windows, Mac or Linux. 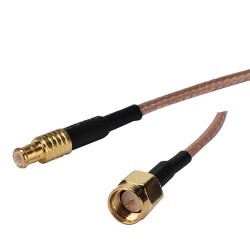 MCX Male to SMA Male RF Adapter. 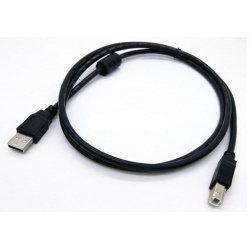 The MCX connector is compatible with the USB Dongle DVB-T RTL2832 +R820T & R820T2.RG 316 coaxial cable 50 ohms, about 15cm long. This is USB 2.0 A Male to 4 Pin B Male is for use with the SDR converter Ham It Up and receiver SDRPlay RSP (all version). Also available in 3 meters lenght. Also suitable forr printer or scanner. Adaptateur SMA Male vers UHF Femele. 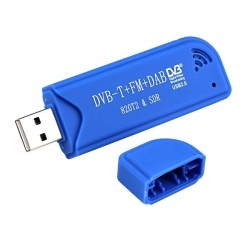 Compatible avec la carte converter HF Ham It Up et le récepteur SDR FUNcube Dongle Pro+. 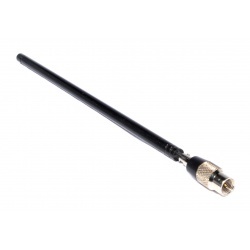 Telescopic antenna ANT500, VHF-UHF 50 ohms designed to operate in RX from 75 MHz to 1 GHz. Configurable length of 20 cm to 88 cm. 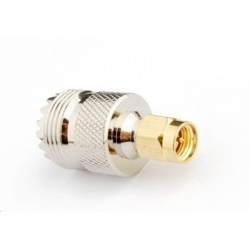 Stainless steel SMA male connector and elbow swivel 360 °. 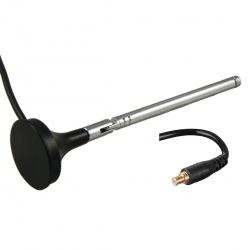 This is an antenna for use with a broadband or HackRF One, SDRPlay. 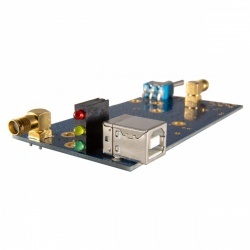 Works for SDR reception, VHF, UHF or ADSB. We propose also an effective antenna model: Diamond SRH-789 and Nagoya NA-707. Description: The new Deluxe Passion Radio SDR pack version include: - 1 USB TNT SDR stick new release (RTL2832U + tuner R820T 2 ) - 1 converter HF SDR Ham it Up 1.3 ( new release ) - 1 USB cable male A-B 2.0 of 1.4 meters - 1 pigtail MCX male SMA male to connect the USB stick to the converter - 1 protective case specially adapted to the converter Ham it Up 1.3 (blue) - 1 adapter SMA Male <> Female UHF (SO239) to connect an external antenna to the converter - 1 wide band telescopic and orientable antenna Diamond SRH789 or ANT500 (subject to availability), with SMA connector The pack Passion Radio SDR Deluxe allows you to receive on your computer, all radio frequencies from 0.5 to 1766 MHz (without gap) and in all modes: AM, FM, SSB, CW and digital, through the use of a SDR software for Windows, Mac or Linux .